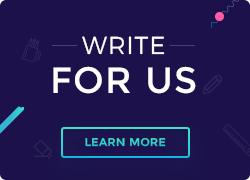 Many of us have wondered and been at sea when it comes to opting for the most suitable type of hosting for a given project. Whether your customer is a professional blogger or a business owner, you might want to know about the difference – Shared hosting vs VPS hosting. Let’s walk you through the several advantages each offers and why it may fit your requirements! Shared Hosting, in a simple example, is like living a villa with a garden or pool that is also used by your neighbors. This hosting lets you share your resources on a server space with other users and businesses. Since you share the same resources, you use the same storage, bandwidth, and database as the others. It proves to be popular as it is basic, affordable and easy to maintain. If your customer is looking for a hosting that is economical and easy to maintain, shared hosting is the perfect solution. This hosting is fairly known for the fact that it suits all the newbies who intend to be on the web since it’s the cheapest form of hosting. You don’t require much technical knowledge to operate this hosting. It is easy and hassle-free when it comes to upgrades, as most of it is taken care by your web host. Not much technical assistance is required and all your installations can be done smoothly. Virtual Private Server also is known as VPS hosting boasts a pool of features which are significantly different from Shared hosting. It is like living in a single apartment that requires you to maintain that space by yourself. You are responsible for the entire space while having the advantage to customize by choice and need. If your customer’s website is loaded with high-security data and heavy applications, VPS hosting is the ideal pick. There are no second thoughts when it comes to VPS. It has many benefits just like shared hosting. The main benefit, however, is full root access to your server to configure it as per your needs. One can enjoy full resource allowance like bandwidth and storage which is dedicated to your server. You now have the power to expand your customer’s website over time helping it operate at a high level. No worries for your customer’s website when it comes to security. VPS hosting makes an asset for companies where security is a top priority. 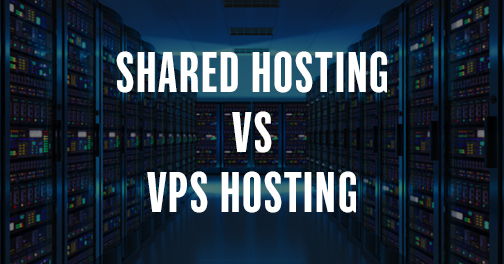 Shared hosting vs VPS hosting comparison is not as comprehensive. Both fit a different type of websites. It all boils down to what your customer’s needs are and how much is one willing to pay. In a lot of instances, shared hosting is a right fit for a lot of individuals or small sized businesses. It is less comprehensive from a technical standpoint with a convenient user interface. On the other side, most established businesses will look for benefits of VPS hosting. This serves all their immediate preferences and provides scalability. They call for enough bandwidth to live up to customer demand and maintain consistent growth, which VPS hosting takes care of. At this moment, the key differences between shared and VPS hosting are clearly before us. We at ResellerClub offer both, regardless of what size, kind, and type of business. This decision purely depends on you and your need, and we’ve got you covered. I hope scanning through benefits of each of the product helps you make the right choice for your website. Please leave any feedback or questions in the comments below.